Compulsory service helps create shared values and identities in a highly individual and fragmented society. Service to society exposes the conscript to altruistic qualities and expressions of gratitude. These experiences help construct a passionate moral companionship with humanity and the relevant community. Living in a community means that we all have rights and responsibilities, but we can often forget that. Obligatory community or military service is a great way to realise and remember that. Militaries focus on homogenizing their recruits, which breaks down prior divisions due to ethnicity, culture, or class. 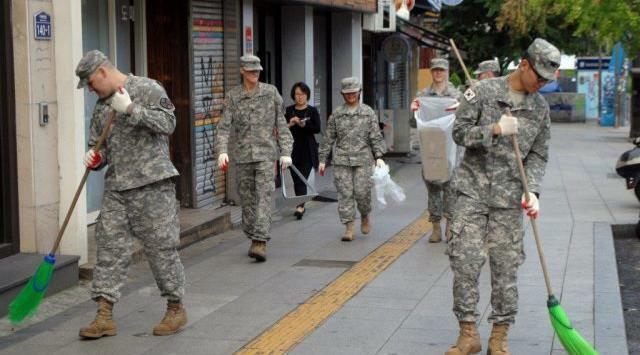 Militaries and national volunteer groups emphasize ethics of shared social responsibility and duty. Militaries focus on instilling strong national identity and pride. Obligatory service would promote more equality among citizens. Forcing someone to act with charity is not genuinely charitable behavior. Forcing someone to put their life on the line against their will is not genuine bravery. Let such actions honor those who choose to give them, instead of praising the reluctant and unwilling as heroes and selfless. Compulsory service creates a particularly divisive form of nationalism, which is likely to be alienating to many within society. individualism and free thought within recruits. These are values which are critical to solve many contemporary social issues. These shared values and identities are not always best for society, and individualism can lead to values and identities that are much better for society. By contrast this results in a lack of intellectual diversity since it seeks shared values rather than nurturing individual reason.